Walter Stone is a Member of Adelberg Rudow with more than forty-five years of experience in handling complex real estate, corporate and tax matters. Mr. Stone was admitted as a Certified Public Accountant in Maryland in 1965, and was associated with a public accounting firm prior to entering the practice of law in 1967. Mr. Stone concentrates his practice in the areas of the acquisition, sale, development and management of commercial real estate, as well as general business, corporate and taxation law. Mr. Stone has been a frequent lecturer for Maryland Institute for Continuing Professional Education of Lawyers (MICPEL), Maryland State Bar Association, National Business Institute and Lorman Educational Services, as well as for other professional associations and groups. 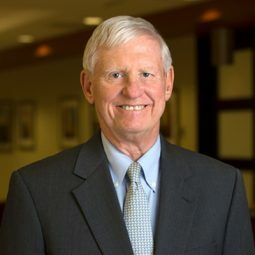 He is AV Preeminent rated by Martindale-Hubbell, which is the highest rating for legal ability and professional ethics. Represented client in negotiation and drafting of long term ground lease for multi-million dollar property in Western Maryland. Breaking Up is Still Hard to Do, March, 2005, presented with Andrew Radding, Esq. Breaking Up is Hard to Do, February, 2004, presented with Jerald B. Lurie, Esq. and Andrew Radding, Esq. A Primer on S Corporations: Tax and Non-Tax Issues in Maryland, September, 2003 and September, 2004, presented with Brian J. O’Connor, Esq. and Neal H. Strum, Esq.